In Japan, all pharmacies are filled with countless beauty products and this product is just one of the many that I have picked up when I traveled to Tokyo a few months back. 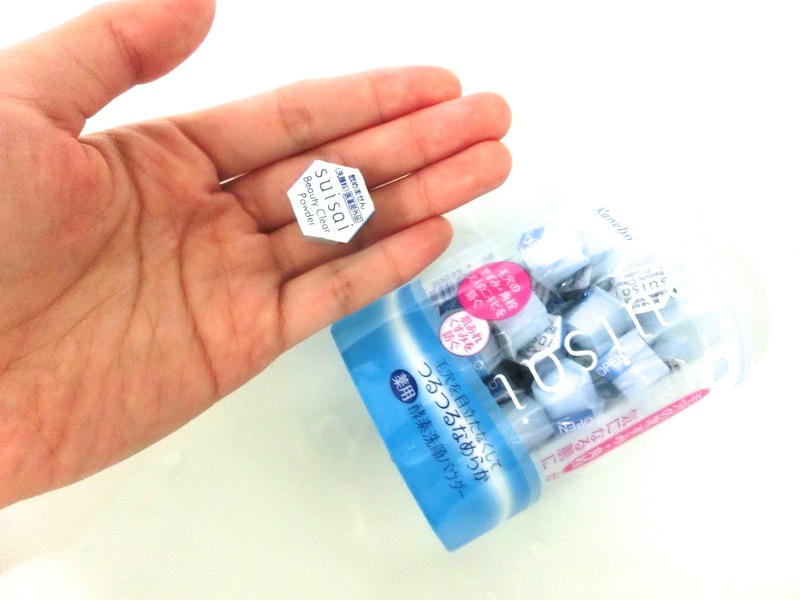 I have seen this product featured in Japanese magazines before, and there are loads of good reviews about it. So of course, I have to get it! And I have been using it twice a week for 3 weeks already! The powder is individually packed in a tiny plastic cube container which is very convenient if you just want to bring a few of them with you to the gym or to a trip. 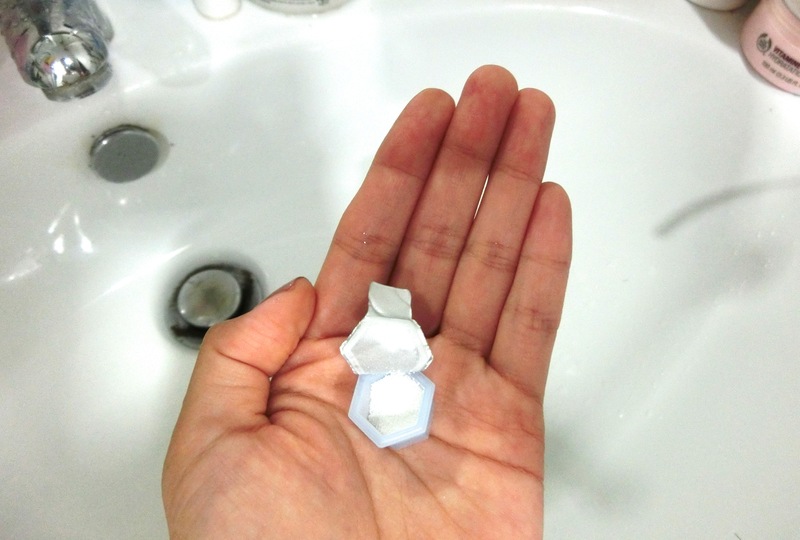 Once you open the little cube there are enough powder or you to use in one wash, you just lather it up and massage your face with it in circular motions, focusing on the areas that need extra care. 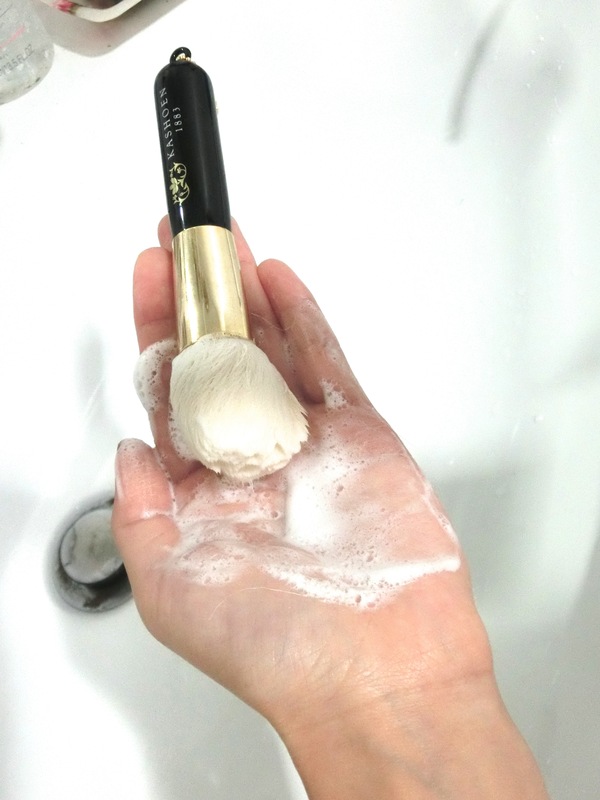 Here I am using the clear powder with a hand made face washing brush that I also got from Tokyo. I highly recommend this brush, it helps to foam fine mousses from cleansers, which I will review about it in another post. So the powder claims to help with large pore, acne and dull skin, containing 2 kinds of enzymes to remove pore-clogging dead skins. I don’t have large pore but i do have dull skin these days, since I am working crazy long hours at work recently almost 12 hours everyday and have very little sleep due to work and high stress. Together with mask, facial oils and this beauty clear power my skin is slowly getting back in shape, so I am pretty happy about it. Maintaining good skin really takes a lot of work and care. All in all, I like this powder and I would repurchase it again after this box! 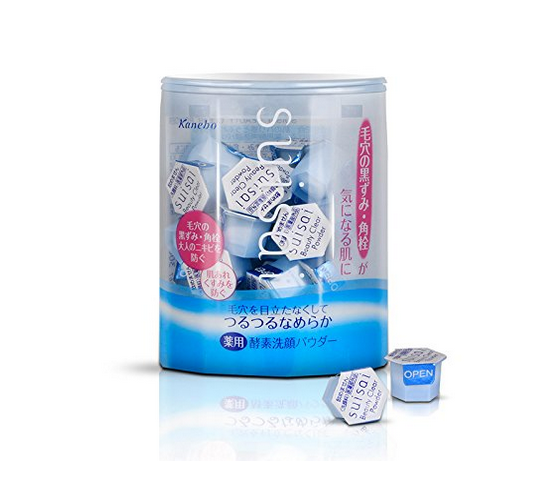 It delivers what it says to deeply clean your skin but not in a harsh way which I like. I believe being clean is the foundation for having good skin.